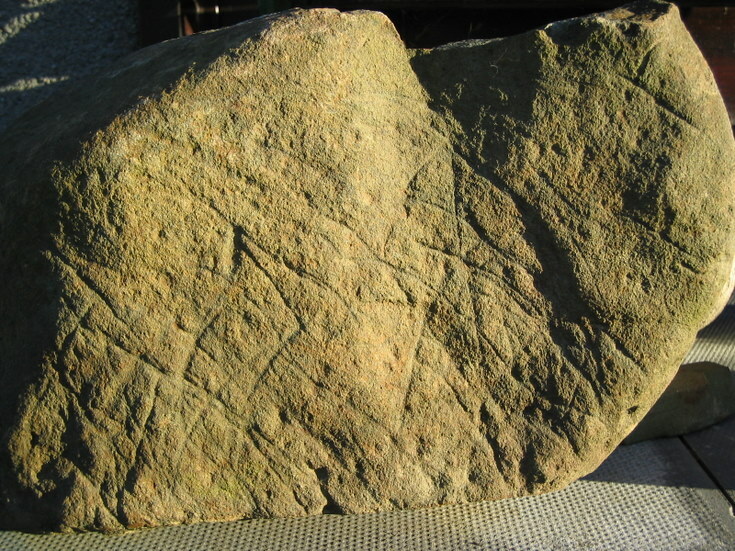 In the right light, this stone shows intersecting incised lines and an apparent pock-marking ("mini cup marks"? ), which can be seen throughout in this photograph. A very similarly patterned stone was discovered at Maes Howe in Orkney. Is this a comparable worked stone?